Why Albania needs to be your next European escape- this is the title of the article published by Suitcase travel magazine. 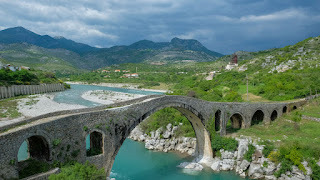 This media known for quality of the writing about tourism destinations is suggesting its readers to visit Albania, a country full of surprises. Lottie Gross is the author of the article, a contributor in several travel magazines and this is not the first time that she writes for Albania. “When you think sun, sea and sand, Albania certainly isn’t the first destination that comes to mind. Well, think again. Pack up your preconceptions and discover a country full of intrigue; its architecture, language and history weave together to create a cultural fabric unlike any other European destination. Albania is home to some of the Mediterranean’s most pristine and unadulterated beaches. As the country sits sandwiched between Greece and Montenegro, soft sandy shores and warm waters tickle its entire western side. A coastline so sparkling should be overrun with international visitors sunning themselves on the sands, but instead it’s the locals (and a few Germans and Norwegians in certain spots) that enjoy these relatively quiet shores. Beyond the beaches and the capital, Albania’s countryside is peppered with charming towns and cities that are such a pleasure to explore it’s near impossible to leave them behind. Gjirokastra, home of the revered author Ismail Kadare, clings to a hillside in the central part of the country, south of Tirana. Tall, Ottoman-style houses, built mostly in the 19th century, stand to attention on the steep, winding cobbled streets. 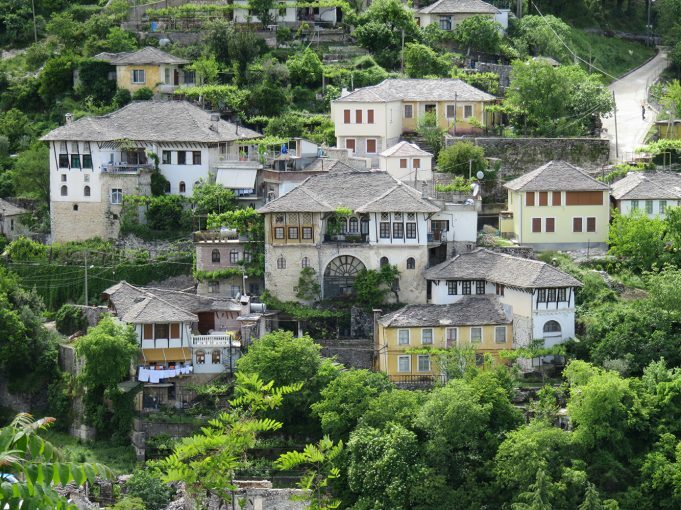 A few hours north of Gjirokastra, the hilltop town of Berat is perhaps the country’s most atmospheric. Housed within the walls of an old citadel, Kalasa, at the top of a seriously steep slope, this ancient maze of streets is still home to hundreds. 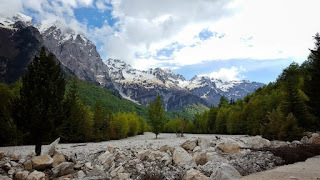 In the far north a Valbona is one of the most beautiful places in Albania. Tucked amongst the Dinaric Alps, the mountains strike up from the floor like shards of broken glass and the river runs a perfect cyan through its centre. Albanian food cobbles together some of the best bits of Turkish, Italian and Slavic cuisine. Everyday staples include qoftë (pronounced chof-tuh), a grilled minced lamb sausage, spit-roasted lamb kebabs and kos (yoghurt).